ysabetwordsmith | Poem: "A Prickly Problem"
This poem is spillover from the June 7, 2016 Poetry Fishbowl. It was inspired by a prompt from dialecticdreamer. It also fills the "It's Okay" square in my 6-1-16 card for the Cottoncandy Bingo fest. This poem has been sponsored by LJ user Daisiesrockalot. It belongs to the Polychrome Heroics series. Regarding the backstory, some of that rests on things which have been written but not yet published by dialecticdreamer, the gist of which is that Mercedes, California has a fork problem making life hard on the Finn family due to their connection with superpowers. Leo was only a few steps behind them. to make sure things were okay. Lily Bay and Prickly Pete." attached to a roly-poly critter. "I'm Bog Standard," said Halley. "It's nice to see you in meatspace. "Yes and yes," said Lily Bay. these folks are her friends,"
Halley said, then turned around. just kind of ... protective." "It's my job," Leo muttered. watching Pete explore the porch. with their truck, but he survived,"
his quills just grew in that way." for the wildlife rescue center,"
will recognize them if they see any." "Is that why you're here?" Halley asked. "No, but it's a good excuse,"
with a serious taste for pizza. with a dangerous animal in tow?" Leo said, lounging in the doorway. try to drive a truck over him,"
in glee and made weird purry sounds. "I'm pretty sure a truck would lose now." "Come on, Leo, be nice," Halley said. when we're hanging out on BlackSheep." 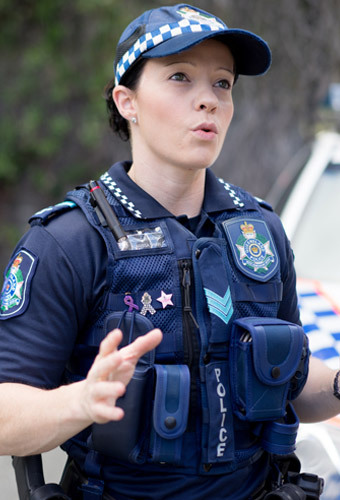 met your cop friend on BlackSheep?" Leo drawled. "I wasn't born yesterday." believe us, feel free to ask Capricorn." his hairline. "You know Capricorn?" he said, his whole demeanor shifting. very well connected," Leo replied. "Well yeah, he knows everyone,"
the chat moderators are for." rubbing a hand over his mouth. on the porch," Edison said, darting away. "Why a porcupine?" Halley wondered. you're that worried about me ..."
here in Mercedes this year. he loves people," Lily Bay said. and Halley turned to hug him. Pete chase his own tail. "He's popular," Lily Bay said. our Activity Scout troop," said Da. we hoped for something new." to discuss schedules and ideas. like he did when he got worried. and hang out with fun people. Gearhead in Blue -- She has golden-fair skin, almond-shaped cognac-brown eyes, and long straight black hair usually braided up under her cap. Her heritage is mixed Asian. Gearhead is the oldest of four siblings, with one sister close to her age and two brothers who are several years younger, and she is close with her parents. Her visits with family are stilted and rather obligatory when they're all together, but she gets on well if she's only interacting with one family member at a time. She has no religious affinity. All of her ID says "Gearhead." She put her legal name under a judge's seal when she turned eighteen. As she puts it, she loves her parents and having them threatened is not on her bucket list. Gearhead works on the night shift as a crime lab technician for the police department in Toronto, Canada. Given her background and abilities, she often feels out of place. She deals with that by teaching tolerance and trying to make the world a more welcoming place for everyone. She spends a lot of time on BlackSheep -- which is primarily a supervillain site -- and she gets along with people despite the varied cape politics. Gearhead is a friend of Halley Finn, and one of the first people thon connected with on BlackSheep. She loves shōnen manga and anime about giant robots and other gizmos, although she has no interest in the shōjo styles. She uses a motorbike for errands and a customized motor home for the long travel. Lily Bay Abalo -- She has fair skin that tans easily, blue eyes, and dark blonde hair. 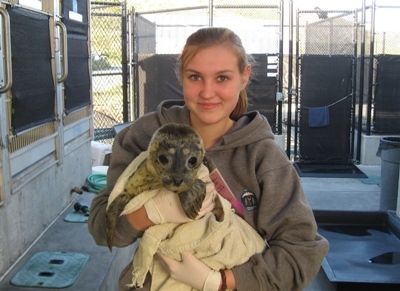 She works as a wildlife rescuer in Westbord. Her favorite is a porcupine named Prickly Pete who has metallic quills. Prickly Pete -- He is a porcupine with superpowers. Despite his wild origins, he adores people and constantly seeks affection. His keeper Lily Bay Abalo uses protective gear to stay safe while cuddling him. Origin: Drunken college students tried to kill him by driving a truck over him. He survived, and wound up at a wildlife rescue facility. After the collision, his lost quills grew in metallic. Uniform: He wears a krevel harness with a forcefield generator to keep him from stabbing things. Motivation: Hug me! Pet me! Love me! Bullying and bigotry are serious social problems. In Terramagne, people often dislike and discriminate against soups, although this happens more in some places than others. Mercedes, California has been having problems with hostility toward soups. There are ways to stop bullying in community and stop being bullied. You can also fight bigotry. Most such guidelines only discuss "permissible" options. The sad fact is, bullies and bigots get what they want inside or outside the rules, and rules are damn near useless for protecting victims. The most effective tactic -- filing a lawsuit -- is only available to adults and has a dismal 16% success rate. In other words, none of that advice works very well. You can see why some people choose to hit back, or resort to backup from supervillain friends. In a healthy society, people start at the nonviolent, rational end of problem-solving and then continue along that spectrum until the problem is solved. The real way to discourage these things is when society so consistently disapproves that attempts keep getting interrupted and just can't get very far. T-America does that most of the time, but it's not perfect. 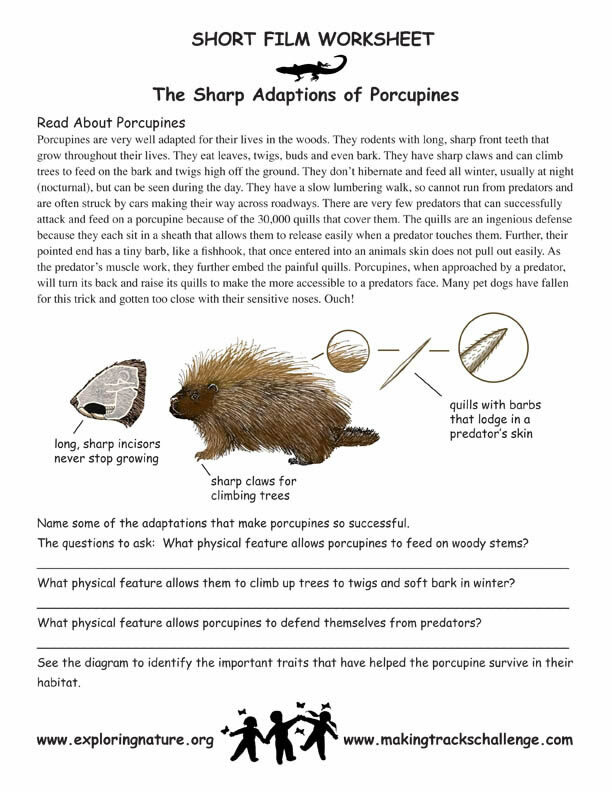 There are adaptation worksheets about porcupines and humans. Consider the idea of superpowers as adaptations. A show soup is a person or animal with a visible superpower who gives presentations about soup issues. Crayon soups with unusual coloration often work in this area. BlackSheep is a social network for supervillains, similar to Twitter. The posts are called "bleats." Halley has an account there under the username Bog Standard. The service is hosted and monitored by Kraken, although that connection is not widely known. Capricorn is the username of Captain Left. I loved that video too. Just because a species is wild doesn't mean it can't have domestic traits. They just aren't typical. Everything in domestic animals has its seeds in the wild. It was just a matter of finding, for example, a wolf that was friendly enough to keep. Yeah, I felt the same way. He's just adorable. Oh jeez, now I again want to cuddle Pete, metal quills be darned. And cuddle a Labrador, which is nothing new for me. I will never turn that opportunity down. Dogs can be bred for a wide range of purposes. One of my characters is trying to make Puggles into a consistent breed, with a particular eye toward therapy dogs. What's a puggle when it's not a baby echidna? A crossbred dog that is half pug and half beagle. While often scorned as "designer pets," some people feel that they relieve the worst impact overbreeding on both breeds. A good puggle is a damn fine dog, but of course, the results are very erratic. At first, just spotting the word, I thought it was a repetititive typo for "usual". Then I read the whole sentence. Good to see more of this. I do like the Finns, and the gizmo-chat folks too. Have we met Leo before and I'm just forgetting, or is he introduced in one of DD's unposted stories? Leo is actually a cover name for Liborio, but if you're reading about him with the Finns, he goes by Leo there. I believe he has appeared in a few published pieces from me and Dialecticdreamer. But the real introduction is in the unpublished stuff. Oooers! YA species that does serious language. Cetaceans in general, cats, dogs, horses/cows/zebra/etc... and of course the great apes... and parrots... but now porcupines! That's really cool. Although I still think the cats are coolest - they deliberately have a language *for us* and teach it to us. That and they grok time in more-or-less our terms... I cat sat for a once-friend, and watched her tell them, "Paw day, paw day, paw day, paw day, tail day...." the first four days I'd come in, they'd be lounging around, okay, you fed us, yeah... the last day (they were coming in late) I hit the door and they were all four like "Where's mama?! it's tail day!" But Mister Teddy Chatterbox there... pretty darn cool. :D I love studying animal languages. Yeah, they don't really meow at each other. It's their version of speaking loudly and clearly to foreigners. "MILK ... get me the MILK!" That is amazing. Thanks for sharing!